As Hurricane Florence continues its trek across the east coast, truck drivers are reminded now more than ever that hurricane season is still in full force. Although this summer has been relatively quiet concerning hurricanes, Florence made up for the calm with Category 4 winds and torrential rainfall. Weather events of this magnitude require that truck drivers need to take extra precautions to ensure their personal safety, and the safety of their trucks and cargo. Cancel or reroute all deliveries that cross through the path of the storm. Allow for extra time to reach locations, and plan multiple alternate routes. Pay close attention to National Weather Service announcements (every two hours as the storm approaches). Many locals may believe the storm won’t be as significant the news portrays. Inaction can result in tragedy. Heed all local weather advisories and evacuation notices. Move all vehicles that won’t be used to higher ground in areas affected by the storm. The location should be free of trees, power lines, or any other objects that could impact the vehicle. Fill all vehicle fuel tanks prior to the storm, as power may be interrupted in many locations and cause delays in fuel deliveries. This can lead to closed fuel stations, long lines and increased prices at the pump in areas affected by the path of the storm. Perform a thorough pre-trip inspection to ensure tires, windshield wipers, and all lights are operational. 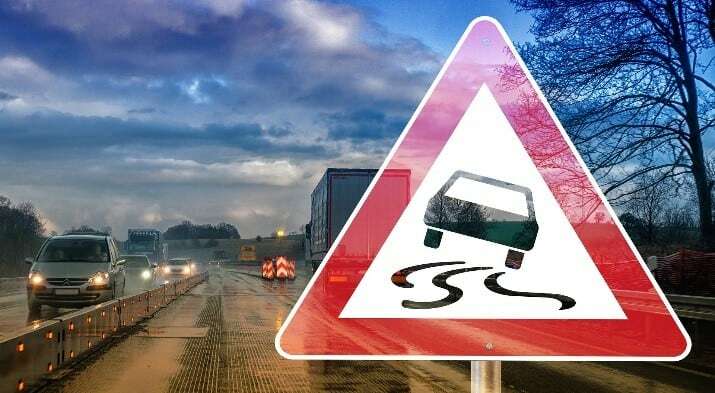 Drivers do not want to be caught in bad weather when they discover a problem with their vehicle they could’ve addressed before they started driving. As always, slow down, increase driving distance, brake slowly, and make sure headlights are on during inclement weather. Truck drivers in the most affected areas trying to evacuate don’t need to worry about violating hours of service (HOS) regulations. Both the Governor of North Carolina and South Carolina issued executive orders waiving HOS rules as well as Size & Weight requirements for truck drivers as they prepare for Hurricane Florence. The Federal Motor Carrier Safety Administration (FMCSA) also issued a Regional Emergency Declaration for Delaware, D.C., Florida, Georgia, Maryland, New Jersey, New York, North Carolina, Pennsylvania, South Carolina, Virginia, and West Virginia exempting drivers from Parts 390-399 of Federal Motor Carrier Safety Regulations (FMCSRs). Restrictions do apply, so drivers should be sure to familiarize themselves with the Emergency Declaration. A truck driver’s number one priority during a hurricane should be his or her safety. To learn more ways to reduce your risks, contact the experts at Interstate Motor Carriers.